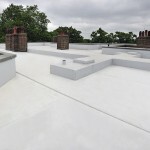 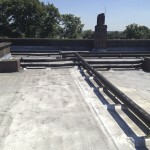 Due to the considerable quantity of pipework at roof level this produced challenging detailing to overcome. 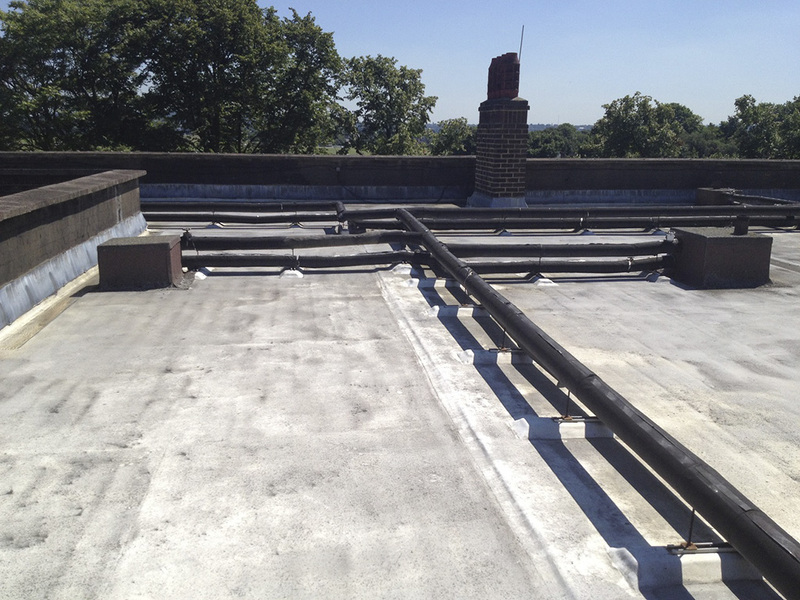 The existing pipework situated at roof level received new timber framework and was encased in the new insulated Sika Trocal roof system. 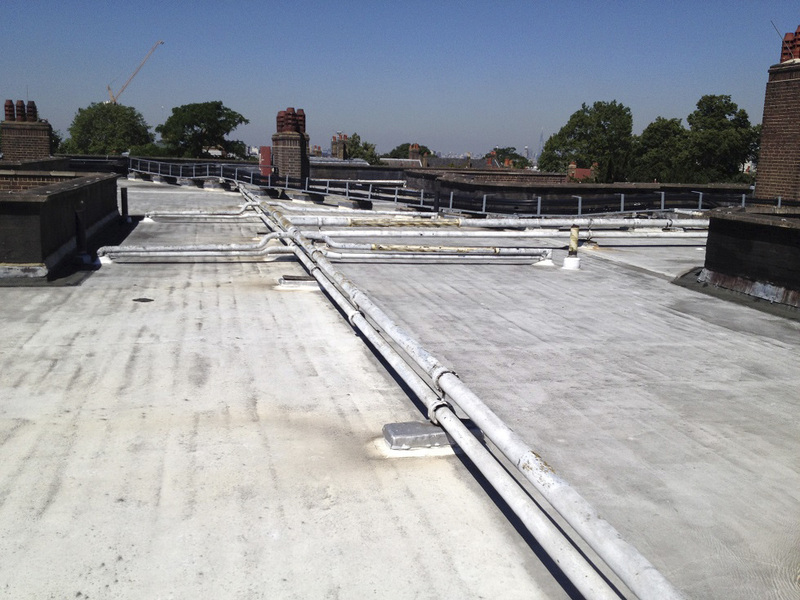 The new Trocal weathering was continued up the internal parapet wall to ensure against future water ingress from the existing failing brickwork parapet detail. 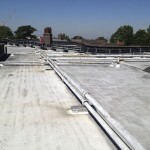 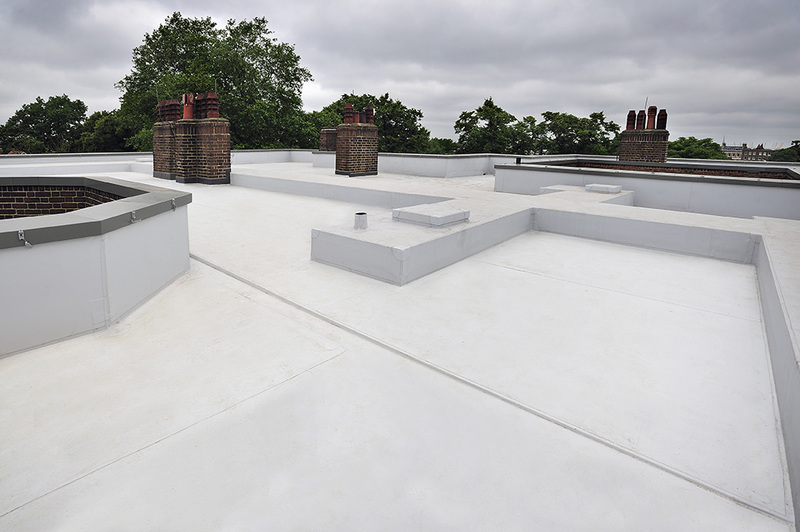 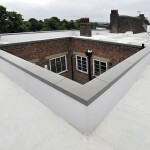 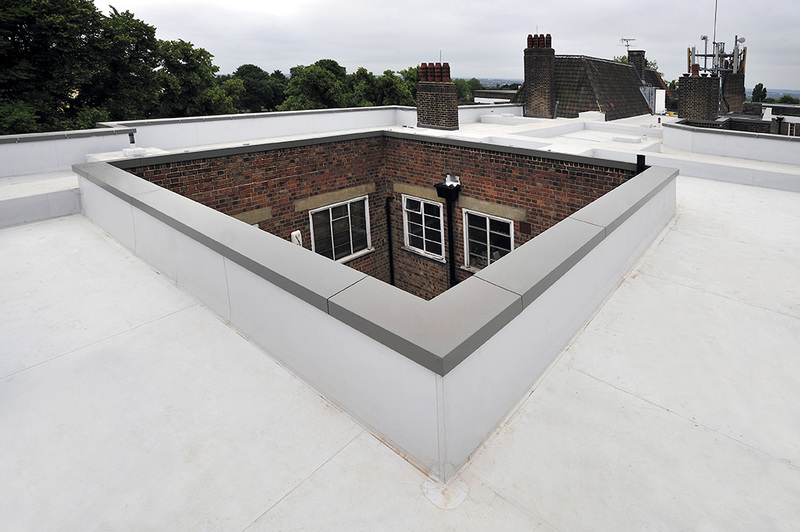 A new polyester powder coated aluminium coping system was installed to the perimeter parapet where the existing failing coping stones had been removed.